King's Herbal is enriched with 100% concentrates made from 77 kinds of fruits, vegetables, and herbs - freshly harvested from farms in Bulacan, Nueva Ecija, and Tarlac. The resulting mixture is made into a ready-to-drink formulation (herbal fusion) to prevent alteration and disintegration of nutrients. REH Herbal is a company engaged in the manufacture of Herbal Products as discovered and continuously being developed by our herbalist, Renato Evangelista Herrera - Ka Rey Herrera. Kings Herbal Food Supplement has been known to help in the following diseases and conditions: Diabetes, Cancer, Prostate Cancer, Hypertension, Sleep Disorder, UTI, High Cholesterol, Stroke, Hypertension, High blood Pressure, Asthma, Leukemia, Bronchitis, Liver Disease, Lung Disease, Cold, Migraine, Cough, Osteoporosis, Dengue, Ovarian Cyst, Paralysis, Dysmenorrhea, Pneumonia, Emphysema, Fatigue, Psoriasis, Gall Bladder Stone, Rheumatism, Gout , Heart Condition, Tonsilitis, Tuberculosis, Insomnia, Kidney Failure and others. Kings Herbal is a Food Supplement with no approved therapeutic claims. King's Herbal is best for children with ages seven (7) months onwards and for adults of any age. For children (7 months old onwards) - Use a medicine dropper. Take 1 ml. up to 5 ml. or as recommended. For adults (any age) - Use the measuring cup provided in our product. Take 30 ml. to 90 ml. or as recommended. Take 30 ml. at least once or twice (2x) a day before each meal - preferably before breakfast and/or dinner. Take 30 ml. of King's Herbal, within 20-30 minutes, 3x a day - before breakfast, lunch, and dinner. Take 60 ml. to 90 ml. of King's Herbal, within 20-30 minutes, 3x a day - before breakfast, lunch, and dinner. Dosage may vary from the recommended intake. Store in a clean, cool, and dry place. Protect from direct heat and sunpght. 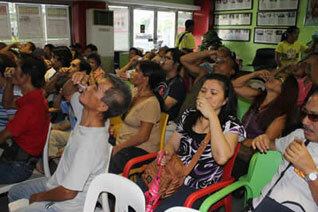 REH Herbal Trading and Manufacturing is one of the leading producer of herbal food supplements in the Philippines. 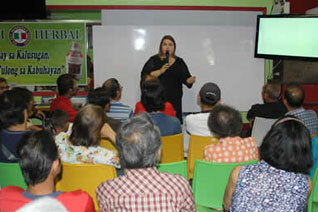 REH herbal products are invented and discovered by our herbalist Ka Rey Herrera. REH Herbal has been registered since July 27, 2000. The Herbal Products meet the certification and approval of the Bureau of Food and Drugs (BFAD LTO#: RDII-RIII-F-2283) and the Food and Drug Administration (FDA FR#: 95265) year after year – a testament to the quality of REH Herbal Products. 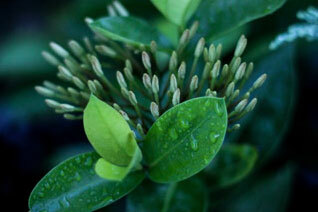 Our mission is to share knowledge on the importance of using natural substances like herbs, for health promotion. We also strive to raise awareness that use of herbal products can help improve health conditions and provide options and renewed hope for those afflicted with severe illnesses. We envisage communities within and outside the country to have fitting health guides and livelihood for each individual – our partners in spreading and achieving causes. We engage in the direct selling and distribution of all our products. We also provide free seminars for community members in order for people to learn about guides to health and also to provide an alternative means of livelihood.